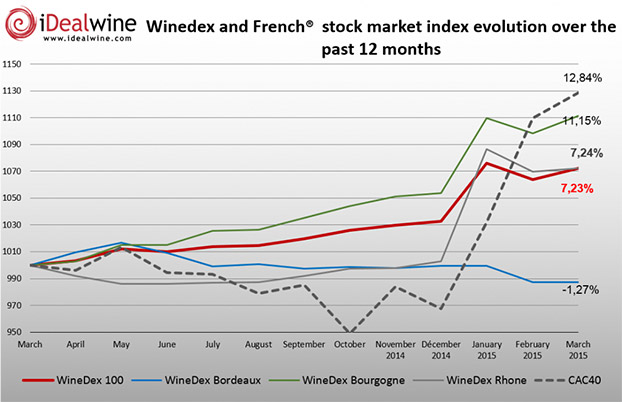 iDealwine’s WineDex indices increased by 19% in 2018. This growth is, as with previous years, thanks to Burgundy (+27.4%) with Bordeaux (+4.5%) and the Rhone Valley (1.6%) both lagging behind. 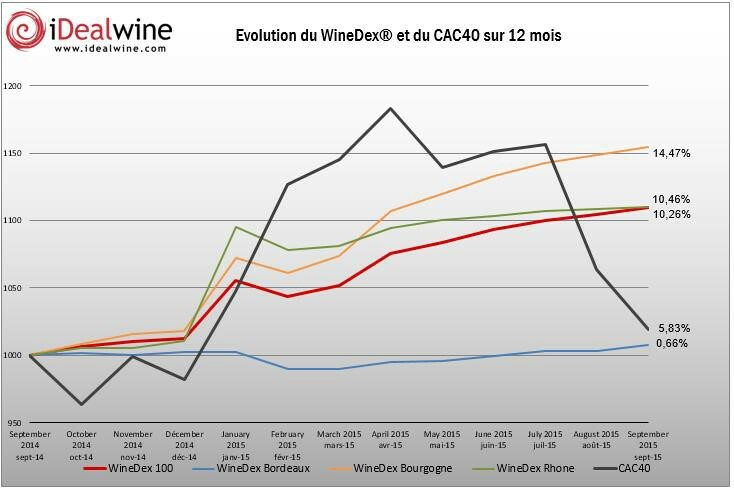 Wine is evidently a safe investment when compared with the 2018 results of the CAC 40 companies (-11.95%). Burgundian Grand Crus are still the object of worldwide demand and are the most fought-over lots on our auctions. The auction results of these Grands Crus have steadily risen since September (+19%). 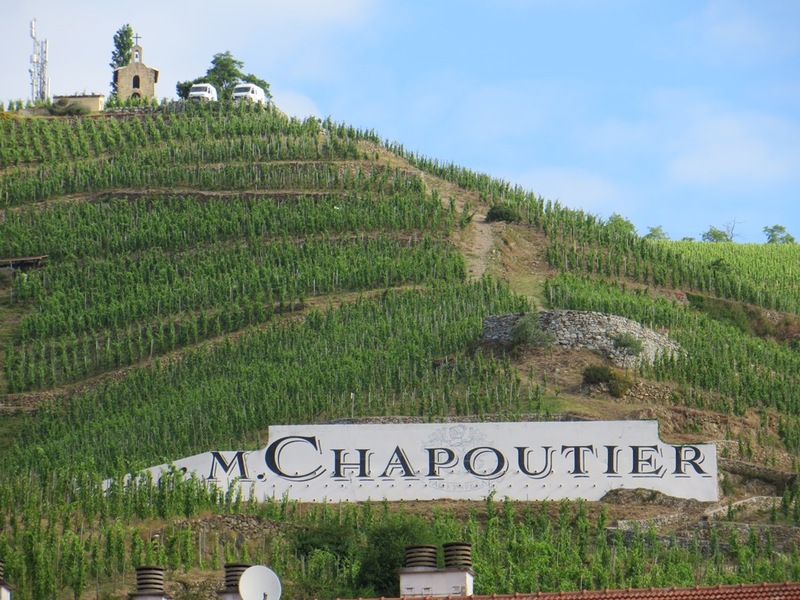 Certain sales were outstanding successes, such as Raveneau’s mature Chablis in Autumn. Another result worth noting was the Chambolle-Musigny 1er Cru Les Amoureuses from Georges Roumier (€4,864, +225%). Rarity is one factor which explains these soaring prices. This trend doesn’t, however, apply to all of Burgundy. Concerning red wines, the record price increases apply mostly to the Côte de Nuits, and more specifically to a ‘short-list’ of producers including Domaine de la Romanée-Conti, Armand Rousseau, Roumier, Mugnier, Liger-Belair. In terms of white wines, the well-known domains Coche-Dury, Raveneau, Leflaive and Comtes Lafon are joined by highly speculative signatures such as Arnaud Ente and Jean-Marc Roulot. Despite the year being marked by a relative stability for Bordeaux Grands Crus Classés, there were some good results in this year’s auctions, for instance the Pauillac Premier Cru Classé, Mouton Rothschild (1992 +14%, 2000 +13% and 2003 +12%). The value of Petrus, one of Bordeaux’s safest investments usually, began to level off in 2018, particularly in recent vintages. This star of Pomerol can now be considered a medium-term investment. A notable development is the performance of second wines, which are attracting the interest of more and more wine enthusiasts all over the world. The Rhone valley doesn’t attract the same level of attention from wine lovers, or at least its aficionados have somewhat more specialist tastes. 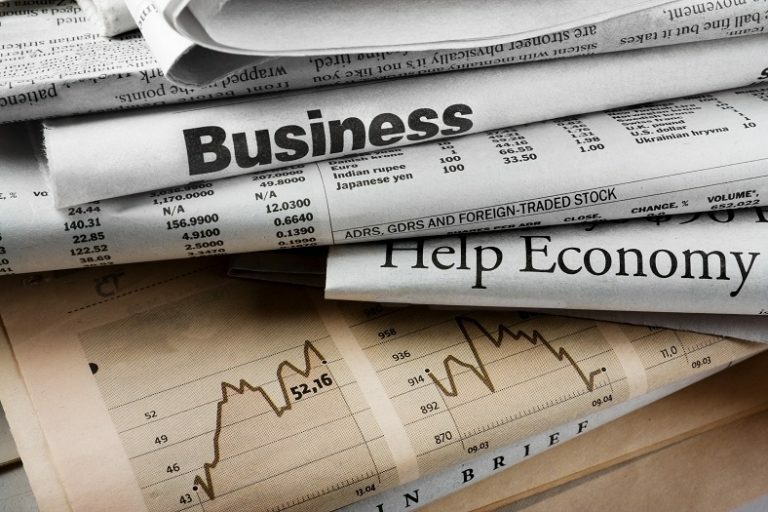 In the second half of the year, the value of the region’s more prestigious signatures stayed stable when compared with other regions (+1.5%). Some gems do however stand out from the rest, such as Guigal’s Côtes-Rôties (La Turque 1989 €572 +23%). That’s not forgetting the mythical Châteauneuf-du-Pape Château Rayas, which saw the value of its 2005 and 2000 vintages rise by 31%. The domain’s “satellite” properties (Pignan, Fonsalette, Domaine and Château des Tours…) also saw their prices reach record highs. To conclude, it’s important to remember that iDealwine indices focus on the three regions which are most represented in auctions, in terms of volumes exchanged: Bordeaux, Burgundy and the Rhone. Given this is the case, certain stars of our auctions, for example Clos Rougeard’s Saumur-Champigny don’t contribute to the WineDex performance results. 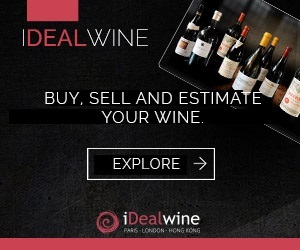 These results will be analysed soon in our renowned auction barometer – iDealwine’s speciality – published in March 2019. Only a little longer to wait .